Congratulations!! You have just completed the first trimester of your pregnancy. Welcome to the quiet and comparatively relaxing months of pregnancy. This is no small an achievement considering the amount of discomforts you have faced in the first trimester. You will start feeling better now than the last three months. But pregnancy care at 4th month is also important. Read 4th month pregnancy care and follow it. 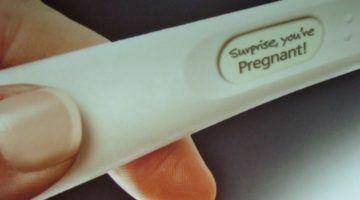 In fact, this is a great time to go on vacation with your partner and take a breather from the first trimester issues. This is indeed a happy time because you will start feeling the movements of baby. So you have a proof that you are actually pregnant. Many women get excited when they sense these movements. They also love informing people about their pregnancy. Also your partner and closed ones get more involved. Now your pregnancy feels real because of the bump. Remember that you will now have series of appointments with your gynecologist not like before. I will take this topic in detail to explain everything about 4th month like baby development, precaution required, symptoms you would experience etc. Read and note down important points. Now you can distinctly feel baby movements. At this stage, the baby will be about 5 to 6 inches long from crown to rump and will weigh about 140 gm. Your baby continues to grow and develop in the fourth month. At this stage baby starts to look more like a real baby. The external ears and facial features are developing. Baby’s skin is pink and transparent. The head is about half the size of the body. Baby eyes will now shift from the neck to the sides of his head. The chin will be seen prominently during the ultrasound scan. The neck is getting longer. Baby facial features will now start to develop. The unique fingerprints are formed at this stage and are evidently seen. Your baby starts giving response to external activities. Ex. Slightly poke your bump with finger and feel your baby react with a slight jerk. Baby body is covered with a fine hair called Lanugo. The eyebrows and hair will start growing by the mid month. The baby limbs are now functional and moving. His nervous system is now working. Your baby will now start sucking his thumb. The baby starts to empty its bladder after every 40 minutes. The skeleton comprises mostly of rubber like cartilage but it will begin to harden as the weeks go by. During 17th week a protective layer called as myelin begins to cover baby’s spinal cord. As baby growth progresses, the umbilical cord starts becoming thick and strong. The placenta is fully functioning this month. Sweat glands start developing all over the baby’s body. Toes and fingers become well defined and also the torso starts to grow. The first tooth buds start appearing. The teeth are formed inside the baby’s gums. Sucking and also swallowing reflexes start to develop at this stage. The baby is making insulin and urinating. Although a baby starts moving in the first trimester itself i.e. at around pregnancy week 7 or 8. But you will be able to sense it only in the second trimester. At this stage baby in your womb will be kicking, thumping and flipping. You can sense the foetus moving. If you haven’t felt your baby’s first kick then soon you will experience it. Although most organs appear and in appearance it resembles a human being at this stage. It won’t be able to live out of the uterus. You will experience mixed and significant changes in the way you feel. There is a lot happening inside your womb right now. 4th month pregnancy symptoms will now get more predominant. Uterus will now be the size of a grapefruit. A feeling of heaviness is frequent as your tummy feels mostly full. A significant change seen around your tummy area. Your belly will look larger with a small pot around your navel and a wider waist. You will start feeling lethargic with the frequent urge to urinate. Blame this on the progesterone hormone that is kicking itself to relax your pelvic muscles. Your breasts look suddenly bigger, round and fuller, preparing for the lactation process after delivery. The nausea and dizziness will be on and off mode but much lesser than before. This is the time for ‘sugar drop’. You tend to feel frequently weak and dizzy. You need to slow down while performing reflexes like standing up and sitting down. Try and avoid sudden movements. Contrary to the drastic mood swings earlier. You will find yourself more calm and settling this month around. You will slowly sync in with the feeling of well-being. Your energy levels are now higher. Try and spend some quality time with your partner, friends and family. Heartburn is a new symptom in the 4th month of pregnancy. Acids in the stomach cause a burning sensation in the chest .This happens because of the hormones that allow stomach acids to pass into the oesophagus. It gets worst due to the pressure on stomach by the enlarging uterus. It gets bad when you lie down. Avoid spicy, fatty, junk foods. Eating lesser portions of meals, having a glass of milk before bed, sleeping properly in bed will help you overcome heartburn effects. Your gynecologist can suggest an antacid for using during pregnancy. The hormones may make your hair become thick or you may suffer from hair loss. Dry hair becomes drier while oily hair extra oily. Your skin will be sensitive during pregnancy. So make sure to use hypoallergenic skin care products. It can get uneven in texture or tone. Tiny blood vessels which are present under skin become more visible. 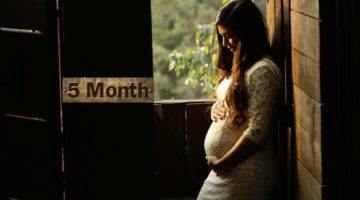 The second trimester of pregnancy is often referred to as the happy season. Morning sickness symptoms which troubled you will begin to disappear letting you enjoy your food properly. You will feel hungry all the time since the growing baby needs nourishment. Common challenge faced at this stage is indigestion. This is the time for you to get some maternity clothes and revamp your maternity wardrobe. While performing the daily tasks you will now have to take more precautions than before. Below are some pointers in Do’s and Don’ts that you will have to during 4th month pregnancy care. There is nothing like Eat for Two concept and it is a big myth. So please forget this. You have to be careful about what you eat and how much you eat. Rather than indulging in junk and street foods to pamper yourself, Eating a healthy balanced diet is a must. Eating right should be your new mantra. Excessive eating will not help your baby develop any faster or better. On the contrary, it will only add more kilos to your body after which you will end up putting on unwanted weight. If you have not started doing this already, you must start sleeping on your left side now. If you feel uncomfortable, try to cushion up as much as you can with soft pillows around your side and between your legs. This can ensure a better circulation to your growing baby. There are also pregnancy specific pillows available in the market that you can opt for. Stuffed nose is going to be your new challenge in the 4th month of pregnancy. Nose bleeds, blocked ears, stuffy nose etc., will be common as there is an increased blood supply to your mucous membranes. Don’t miss to carry a lot of tissues along with you wherever you go. And don’t be embarrassed about the constant sneezing happening from your end. Your abdominal muscles will start rapidly stretching. So it is advisable to invest in some super comfortable maternity clothing. Your regular clothes will start getting uncomfortable and tight. Select comfortable fabrics like cotton or linen. Pick pleasant colors like pastels and whites depending on your choice. It is mandatory that you should continue to do your usual exercises as recommended by a professional. If you thought that you can take it easy with the growing bump, you are wrong. Because being fit is the only mantra for a problem free delivery. Don’t fall prey to lethargy and be active. Continue to consume a good fiber diet as constipation will be an ongoing issue. Fruit, vegetables and cereals should form a major portion of your diet at all times. Drink plenty of water, fluids and juices to stay hydrated and also because fibre in your body will tend to absorb the moisture. Your doctor will recommend you to take those iron and folic acid capsules. Additionally, an intake of good iron and protein rich diet is always useful. The folic acid consumption will be ongoing to protect the growing baby from the possible neural tube and cognitive defects. 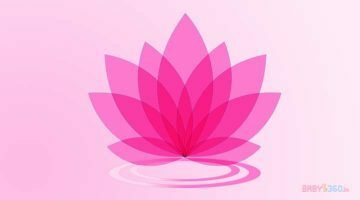 Talk to a Yoga expert who will teach you some fine-tuned breathing techniques that can be practiced during pregnancy. These exercises also have a great impact on your baby’s health and growth. Although the “don’ts” section stays intact like 3rd month pregnancy care, we would like to add one more to that, so that you can take absolute care for you and your baby’s health. You are yet to reach the stage of a bigger bump. Any physical or mental stress is a big no from here on. Avoid lifting heavy objects, sleeping on your tummy and engaging in strenuous activities. Your baby is now growing rapidly and you need to take decent rest in your regular routine. If you are a working woman, take those tiny power naps when and where ever possible. Nobody will mind a pregnant lady dozing off on her desk or in the rest room. Don’t worry about it. Your gynecologist will now recommend any or all of the below tests to check the health and development of your growing baby. Quadruple Marker Screening Test – This is a blood test done to screen your baby for Down syndrome. Amniocentesis: A test that is done on your amniotic fluid. Other blood tests and scans on a case to case basis. Make sure you talk to your doctor and your loved ones to get rid of any fears that you may hear. You will find yourselves excited, worried and scared all at the same time. Remember, that all this mixture of emotions is completely normal. 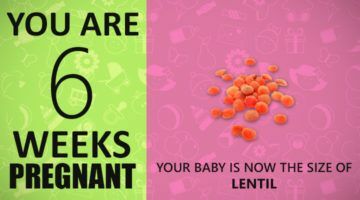 You are now in the beautiful part of the pregnancy phase where your baby is slowly undergoing complete transformation. It is important to enjoy the feeling and look forward to those exciting days along with your little one inside! We wish you all the very best.